Are you planning on buying an Ocean City New Jersey beachfront home but you're not sure if it will be a smart investment for you to make or not? If so you've come to the right place! As of September 2017, the median home value in Ocean City NJ is $515,900. Ocean City home values have gone up by more than 8% the past year. Many real estate analysts, including Zillow, predict home values will continue rising over the next year. Ocean City New Jersey has some of the best lifeguards in the entire Northeast. There are 43 beaches protected by the Ocean City beach patrol every summer. This puts a lifeguard tower with two lifeguards on almost every block on the entire barrier island. Want more reasons to buy a home in this beautiful area? 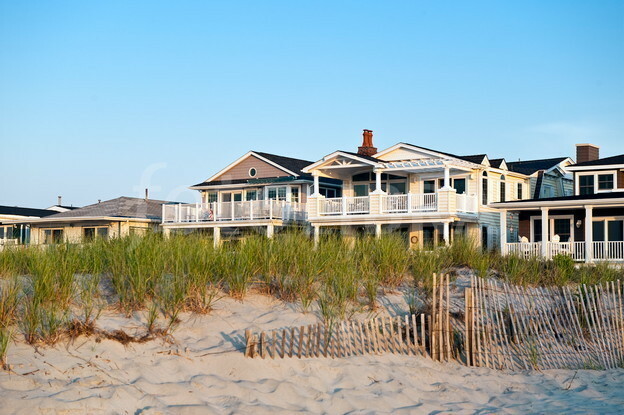 Here are four reasons to consider buying a beachfront home in Ocean City New Jersey. The first reason to consider purchasing an Ocean City New Jersey beach home is appreciation. Beach homes typically appreciate faster than homes and other residential areas across the United States because most home buyers like the idea of living near the water. Waterfront properties have often been worth more than double the value of other homes that are near the water. Property values in Ocean City at a medium value of $476,000 in 2016 and increased in 2017 to $515,000. This is over and 8% appreciation in just one year. Let's face it, there's nothing better than waking up to the view of the ocean every single morning, and Ocean City New Jersey offers some of the best beach views in America. What's even better is that home prices here are far better than what you would pay for a beach view in other coastal or resort communities in Honolulu Hawaii, California, or Long Island Sound. Another Important reason to consider purchasing an Ocean City New Jersey beachfront home is the fact that they are the best and highest producing vacation rentals. We already talked about how amazing it would be to wake up to an ocean view. Anyone that comes to the Jersey Shore wants to do the same thing, experience a beachfront home. Last of all, but most important, one of the top reasons to purchase an Ocean City New Jersey beach home is the resale potential here. Unlike other communities in the United States that don't offer water-front views or beach access, beachfront homes in the Ocean City New Jersey real estate market don't last for long. Buyers are hungry to accomplish their goals of purchasing beachfront property, and many times they're often willing to pay a premium for living their dreams. There are only so many beachfront homes which always keeps the supply low. Did you know that two decades ago, the median value of waterfront properties in the United States was 64 percent more than the median value of other homes? Fast forward to 2017 and that difference has grown to a whopping 116 percent. Investing in an Ocean City New Jersey beachfront property can be a wise decision, and there’s never been a better time than right now to invest here.